Every Fall and Spring the Shanghai and Beijng offices recruit interns. The internships lasts for 3-6 months, and offer you the opportunity to peer into the Sino-Swedish business world, and enable you to start building and expanding your network, with experienced and diverse individuals. The internship role include: creating marketing content and articles about Sino-Swedish businesses, planning and executing upcoming events, contacting members and member companies, and assisting in daily tasks. Disclaimer: The internship is unpaid, thus it is recommended that the intern be registered at a Swedish university in order to receive CSN or be enrolled at a Chinese University in China for more than year. You must also have a foreign insurance that is valid throughout your time in China. Furthermore, you must cover your own living expenses (including housing) whilst abroad. Requirements: The internship should be relevant to your studies at either a bachelors or masters level. You should have excellent knowledge of English, and preferably in Chinese (Mandarin) as well. An intern with knowledge and experience in the service and/or marketing fields is preferable. In terms of personality, we are looking for some who is engaging, social, outgoing, and is able to execute tasks in a timely manner. Your time with the Swedish Chamber of Commerce should build on your knowledge, help you grow as an individual, and help you come closer to your personal goals; it is therefore important that you demonstrate an interest in the Chinese culture. For more information on upcoming vacancies click here. nce 2008, the Swedish Chamber of Commerce in Shanghai has been given the opportunity to host an Anders Wall Scholarship Holder from the Wall Foundation. The scholarship aims at educating a young and creative business-orriented individual within the field of international trade and industry. As an Anders Wall Scholarship Holder you will be given the opportunity to exchange experiences and contacts within the Sino-Swedish business world. Your time at the chamber involves contacts with member companies, planing and executing events, and continuous daily work at the office. Additionally, you will be the Chairman of the Swedish Young Professionals in Shanghai, the secretary at Shanghai Chapter meetings, and responsible for at least one sub-project, which fits your interest and the Chamber’s need for improvement. You will receive SEK 200,000 as the holder of the Anders Wall Scholarship, and your internship will last for a total of 12 months, starting in September of each year. More information will follow when the application process opens in November for the following year. Read more about this year's application process. 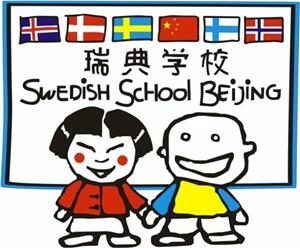 Svenska Skolan i Beijings stipendium för studier i Kina. Sök nu till 2019 års stipendium! Beskrivning av ansökningsprocessen samt formulär hittar du bredvid. Komplett ansökan skall vara stipendiekommittén tillhanda senast den 31 mars, 2019. Ansökningar efter detta datum kommer inte att behandlas.